This month Honors College students and graduates Alyssa Norris, Savannah Rogers, Matthew Winchell, and Garrett Kalt gathered at the historic site of Mount Vernon for the alumni weekend of the Mount Vernon Leadership Fellows program. 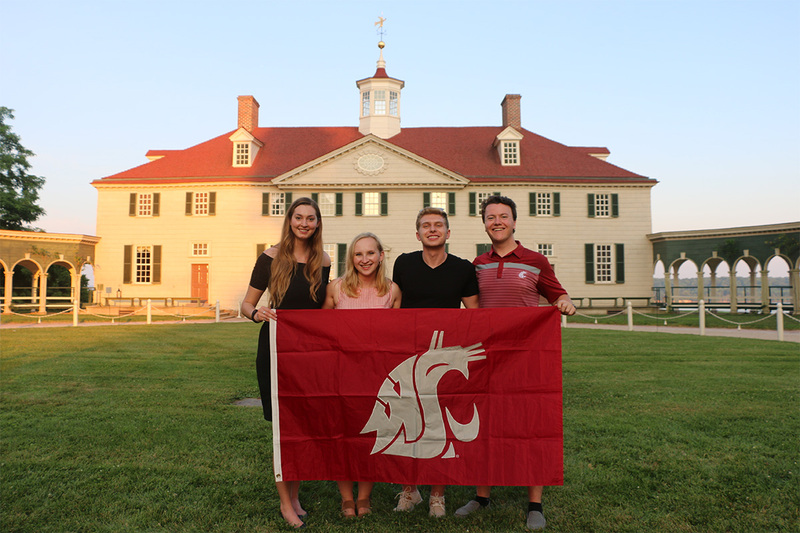 Each year since the leadership program first began in 2014, WSU has been represented by a student fellow from the Honors College. This year, Matthew Winchell attended the six-week leadership program and Garrett Kalt was selected as the student intern for the summer.